Sheffield Engineering Leadership Academy: On the Track to Success! On the Track to Success! 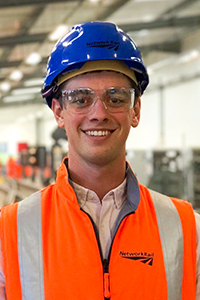 Since graduating in 2017, I have joined Network Rail’s engineering graduate scheme. 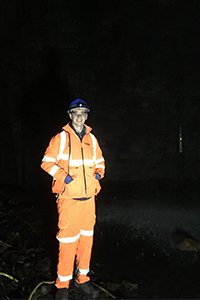 I was sponsored through my time at university as part of the ICE QUEST Scholarship, which involved undergraduate placements with Network Rail throughout each of my summers at university. 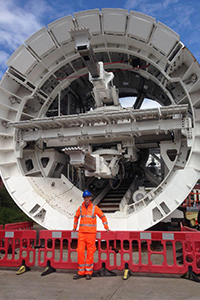 I was lucky enough to be involved in some incredible infrastructure schemes – Birmingham New Street, Farnworth Tunnel and Hinksey Flood Alleviation Scheme – as well as going on visits to some of the other projects and famous infrastructure across the country. In my second year of university, I was successful in applying to Sheffield Engineering Leadership Academy’s inaugural cohort. This was something I was particularly keen to be a part of in order to build on my softer skills – leadership, organisation, presentation, teamwork, networking and self-awareness. What I didn’t expect was the incredible opportunity SELA would present me and others with to have access to engineers and academics who were the leaders in their respective fields, as well as the benefits that working in a group of like-minded individuals on lengthy projects would have. The technical knowledge one learns at university is of course a necessity when going into an engineering workplace – even within the Network Rail engineering graduate scheme, there are clear differences in levels of understanding and interest based on the degree discipline people specialised in. However, unless you are planning on being a technical expert in a specific aspect of engineering, it is the softer skills which benefit you the most and set you apart when joining a large engineering company (or any other industry, for that matter). The importance of communication, networking, presentation and time-management cannot be emphasised enough. The ability to take on responsibility and seek out opportunity has been key in my progress so far: it has led to me getting involved in a number of projects and groups already (having only been on the graduate scheme for approximately 5 months at the time of writing this). I am the communications lead for the Safe by Design Young Engineers Forum, a group made up of companies from across the Network Rail supply chain. Usually, young engineers (ranging from new to the industry up to recently chartered) are asked to come along and present on a specific project they were involved in and how safety was considered at the design stage. This wasn’t something I could do, having not done much design work up to this point in my career. However, I was keen to get exposure to this group, saw an opportunity to get involved and offered my time and effort. This has led to me now organising the next forum which will also be the first in which the North and South forums are combined centrally. Working in a group of young, like-minded engineers looking to improve their skills, contacts and exposure to the industry: a very similar format to SELA. I also conducted research into Sustainable Development within Infrastructure Projects (IP) at Network Rail, and presented my findings to the IP Executive Board. This involved a large amount of correspondence with regional teams and analysis of causality and trends. Looking back, the skills I was required to use were extremely similar to those used in my second year SELA project exploring the decarbonisation of the UK energy network – communication, analysis and succinct presentation of findings to a panel of experts. Following my success in this work, I have been approached by other teams within the company to look into their current approaches and how they can be improved - as a graduate, being a fresh pair of eyes and willing to question ‘the norm’ is very useful to established teams. I have taken on the role of Engineering Engagement rep for my area. This involves the promotion and coordination of STEM activities for the engineering graduates. Personally, I have been mentoring a team of year 12 girls doing a Network Rail Engineering Education Scheme project. I am also volunteering at multiple upcoming STEM events and plan to continue to do so. Not only is STEM promotion something which I believe in, but it is another aspect of what I do which builds on my softer skills. I think this is something SELA has helped me with – recognising where I can continue to improve my skillset through other activities. I have also recently been selected to be the Civils representive on the graduate Technical Training Steering Group. This will build on my budget management, organisation and communication skills – all of which I have experience in from my first SELA project, in which we organised the Bootcamp for the following year’s intake. 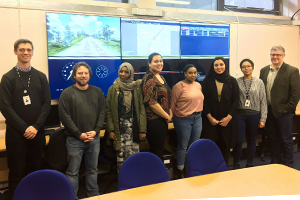 Network Rail’s graduate scheme has been fantastic in terms of flexibility, especially for those who are proactive in seeking out their own opportunities. There is a period of time relatively early on in the scheme for which there is nothing formally organised for you – it is your responsibility and chance to seek out the areas of the company and its suppliers which most interest you, and to go and see them. Many of my successes and opportunities to date would not have been possible if I was tied into a single team or project. In such a huge, nationwide and multidisciplinary company, this level of trust and individual responsibility has been great. Again, the confidence to get in touch with people at all levels, and how to communicate effectively are skills worked on in SELA. My time with SELA is something I look back fondly on, and an opportunity which I do not underestimate the benefits of. The skills and ethos it teaches are hard to recognise in your every-day life because it becomes part of who you are and how you conduct yourself – it’s not like learning how to use a set of equations or a piece of software. Those who are lucky enough to be accepted will already be among the top engineers Sheffield has to offer – the learning from each other is equally as important as the talks from external speakers and the SELA team. I have an immense amount of respect for everyone else in my cohort, having worked with them over two years, and hope to come across some of them in the future. I’m certain that going forward in my career, there will be many more moments of reflection when I look back and see the direct benefits of being a SELA member.